I'm really excited to be performing as part of BrisFunnyFest. I'll be performing my new trial show "hope you're not disappointed" AND my award-nominated show "23". All the details are below and I hope to see you at either one or both shows! Please come to my brand new show. It's going to be me, on stage, trialling some new jokes and new songs. It's a show about being pushed out of a window, hope and disappointment and I hope you won't be disappointed. 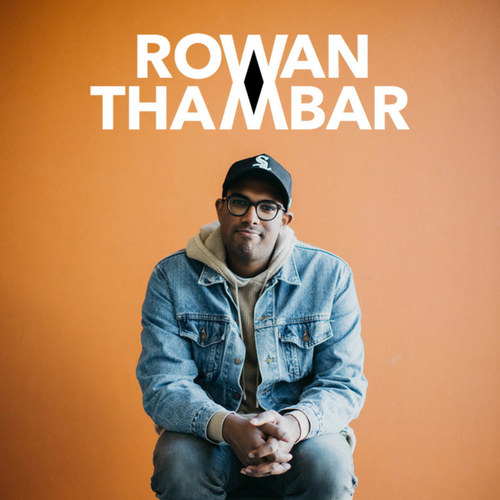 Rowan has recently been hand-picked by the Melbourne International Comedy Festival for the prestigious “Comedy Zone” and identified as one of the funniest emerging talents to hit the Australian stage. After selling out shows in Melbourne and Sydney, and honing his craft in the US, ‘Hope you're not disappointed’ is full of the finest musical comedy and stand up you can get your hands on. ‘23’ is a show written and performed by comedy heart-throb Rowan Thambar that blends musical comedy and big-hearted stand-up on his journey to discover the kind of man he wants to be. Fighting off the stigma of being a millennial, acknowledging his privilege and contemplating his impending mortality – this is a show that will make you both laugh and stop to ask why. As heard on triple J. Nominated - "Best Comedy" at the Melbourne Fringe Festival 2017. Comedy Zone 2018 Cast - Melbourne International Comedy Festival.